The foam compactor is a mechanical environmental protection device that presses the foam according to the principle of spiral rotation to compress the foam and compresses it. In addition to relying on huge spiral thrust, the production process of foam compactor relies on thermal energy to melt the raw materials. The temperature given by the heating coil also has the temperature generated by the spiral propulsion. The temperature of the heating coil is controlled by external temperature. A certain relationship, in the summer when the temperature is relatively high, only need to start the upper heating ring. On the contrary, in the winter where the temperature is lower, the production should increase the warm-up time. When the production is started, the upper and lower heating coils should be opened, like some. In winter, the low temperature can reach minus 40 degrees. Can our foam compactor be used for production? The foam compactor is required to be installed indoors, so the outdoor temperature is low, which has no effect on the production. 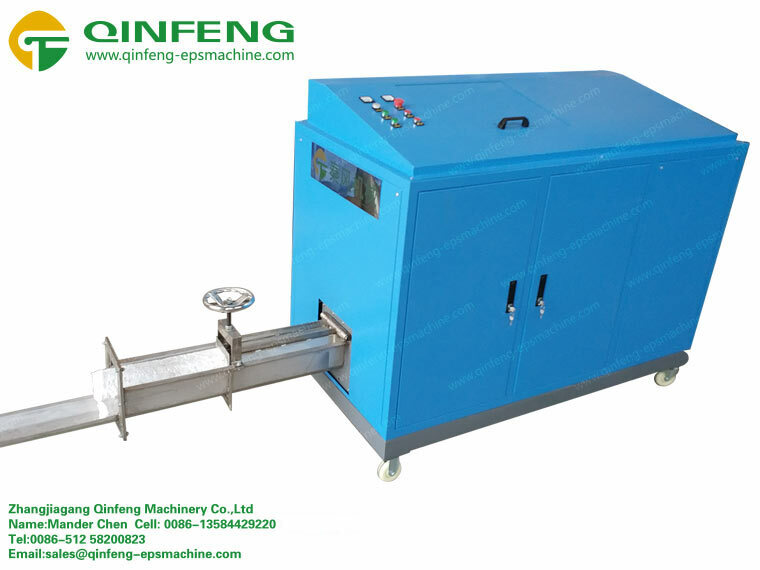 The foam compactor models adopt double-screw segment heating, and there are seven heating coils on the main machine. The total power of the heating coil is about 8kw. The heat produced during full-load production cannot be ignored, and it can supply production demand. The foam compactor is a special model designed for the recycling of waste foam. The sales network is also exported all over the country and exported overseas. The users in many places have a good response and the process technology is quite mature. Friends in the northeast region do not have to worry about the impact of temperature on the production of foam briquetting machines. You can purchase and use them with confidence to ensure the normal and orderly production of users in the later period.